Come third day of May and we shall witness the Audi A4 release in the automobile market of India from the stables of the magnificent car manufacturer Audi. The covers will be lifted from Audi A4 at the Turf Club of Mumbai. The refurbished version of this fabulous sedan of Audi will arrive in both the diesel and petrol variants with the option of the Audi trademarked Quattro. The petrol variant will be boosted by a FSI 3.2-litre engine while the diesel variant will be receiving a TDi 3.0-litre engine. Other than a notable change in the ambience, the new Audi A4 is coming along with a good lot of fine detailing to its overall persona. The front of the A4 looks as if it has been adorned with the optimum volume of changeovers. The headlamps and the day-time running LED-lights are visibly reshaped. These changes are nothing but minor, so they will not be appearing to the bare eyes of the onlookers.In order to see the difference, one has to look closer to identify the latest changes in its make. The headlamps are built to be of the projector style that has Xenon lamps fitted in the top end variants. The jaw of the Audi A4 is very much streamlined with all the fresh bumpers and grille. Fog lamps are in trapezoidal shape with very attractive fitments that works absolutely perfect. The absolutely new and fresh bumper and graphics lamp of LED on the rear of the car has a very charismatic appeal to anyone who looks the car going ahead. 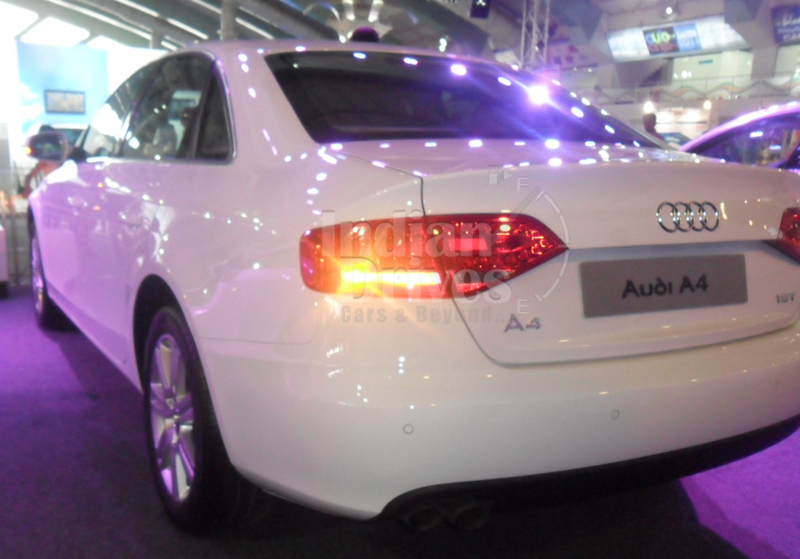 Overall, the exterior of the Audi A4 is just amazing and beautiful. The sedan does make the people stop whatever they are doing and turn their heads at least for a moment no matter how busy they are, to admire the perfect exterior and compliment it. Coming to the interiors of the Audi A4, it has a fresh steering wheel that is built from a high quality plastic material while the refreshed dashboard makes the front side of the cabin very sober. The central console has more attributes that is very much evident with the increased number of controls that match exactly with the trim level of the car. The tweaked multimedia interface of Audi’s trademark with the switchgear is pretty hypnotizing and charming for sure. 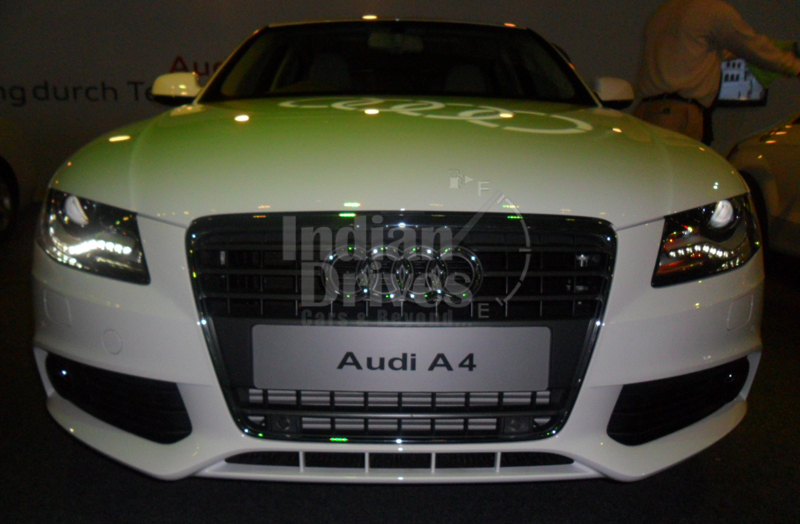 The refurbished Audi A4 will be a fine addition to the existing line of products Audi has to offer to the customers in the Indian automobile market. This car will make the already booming growth of Audi in India much faster with an additional place created for itself in the niche automobile market segment of the luxury sedans in India. To sum it up the refurbished Audi A4 will come in with two diesel and three petrol variants equipped with the four-wheel Quattro on a TDi 3.0-litre diesel and FSI 3.2-liter petrol models. The base price of Audi A4 is most likely to begin with Rs.27.69 lakh where this luxury car will go up against the likes of Mercedes-Benz C-Class and BMW 3 series.